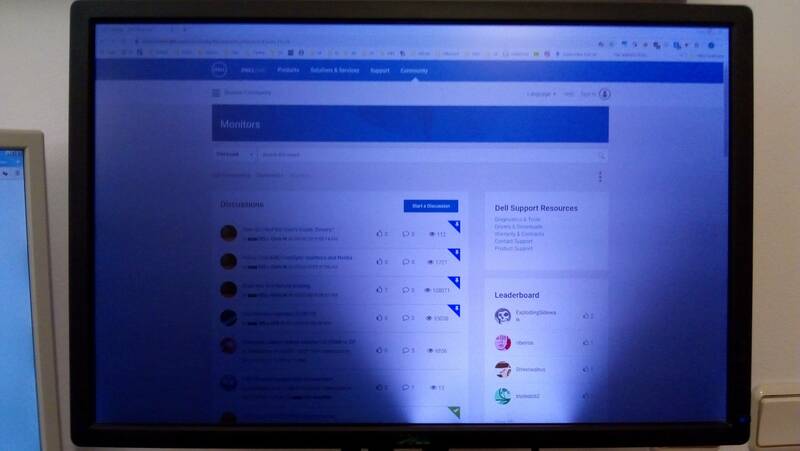 The backlights on my U2412M are dying. Started with one, now most on the bottom are gone. Sometimes turning the monitor off and on again will bring one back, but after a while it turns off again. I'm guessing it's a power supply issue? Would getting my hands on a new U2412M power supply board do the trick? Unknown. Dell does not repair monitors, sell monitor internal components, or have monitor disassembly documentation. Since outside of the purchased warranty period, you would have to seek a local Monitor/TV repair center to see if they can disassemble and diagnose the defective internal component. Then look for the internal component on 3rd party sites. Note, the cost of diagnosis and repair might outweigh the current used market value of the this U2412M.